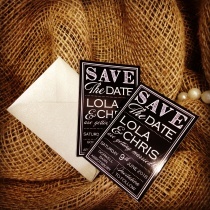 Some couples opt for a more basic version of their day invites to give you evening guest. 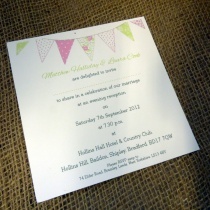 This is for two reason .... To have a slight difference from day to night invites and secondly to help with the wedding budget. 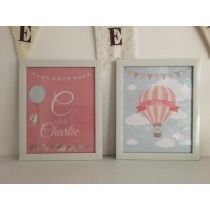 Full range coming soon .. 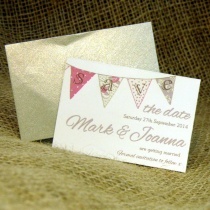 The Ristic night invites are a flat invite like many of our evening invites and are sized 155mmx155mm. 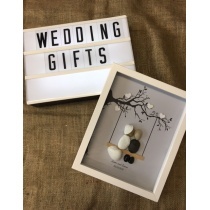 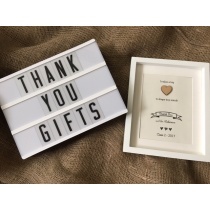 We offer this range to allow our couples to keep to a budget and allow them to cut back a little cost on the evening invites but not cut back on the look and quality. 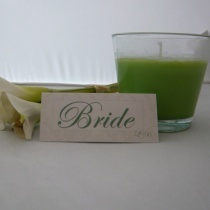 They boast the femine lace bow which are simply gorgeous. 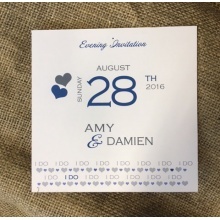 As with all our invites you can chose to have the guest names printed or have a dotty line and again they come with rsvp and envelope. 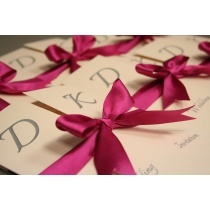 A flat evening invitation in the Pink Candy Range. 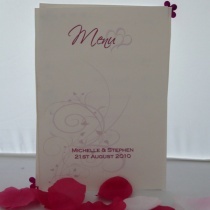 They boast a pretty pink floral design and matching gem which can have the colours adapted to match your wedding colour scheme. 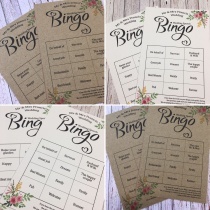 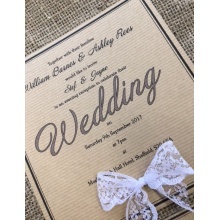 They are a flat invite and are sized 155mmx155mm and as with all out invites they can have your guests names printed in, or a dotty line if you prefer and a matching RSVP so your guests can easily respond to you. 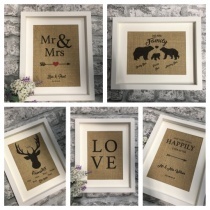 The evening invites to complete the Love Letter Range. 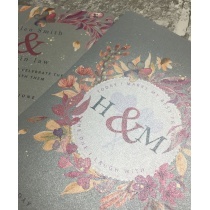 These are a flat invite sized 155mmx155mm and again as with the Save the Dates and Wedding Invites the colours can be coordinated to match your chosen colour scheme. 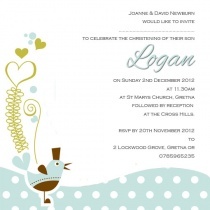 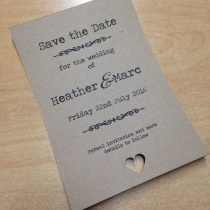 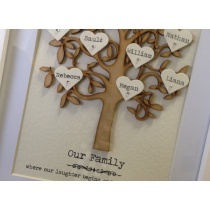 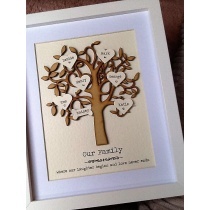 As with all our invites the invites can have your guests names printed and come complete with matching rsvp. A flat evening invitation in the Jubilee Range. 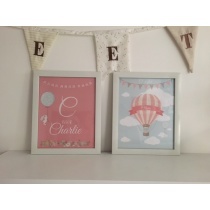 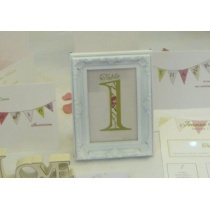 They boast a pretty bunting design which can have the colours adapted to match your wedding colour scheme. 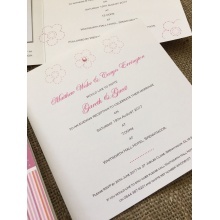 They are a flat invite and are sized 155mmx155mm and as with all out invites they can have your guests names printed in, or a dotty line if you prefer and a matching RSVP so your guests can easily respond to you.